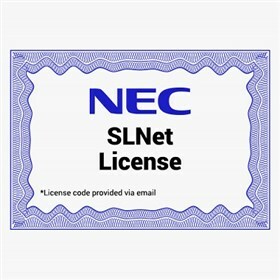 The NEC 1100092 is a SLNet license, which is perfect for a virtual office phone system network or a multi-site business. It provides VoIP networking capability for up to five sites. Each system in the network must be equipped with a VoIP Daughter Board and for 32 VoiP Channels, the 16-Channel Voip license is also required. The NEC 1100092 has many exciting features for users of all types. The NEC 1100092 is sold as a Brand New Unopened Item.